Designed primarily for commercial organisations, the CABS Contact Manager Module provides all the functionality you need to maintain, not only full details of all your active client organisations and the named contacts at each, but also any suspects and prospects you are interested in engaging with. With organisational hierarchies, departments, divisions, and multi-locations we don’t think there is an organisation structure that the CABS Contact Manager Module can’t handle for you. It even handles third party contact such as booking agents and intelligently copes with commissions, switching of principals with full traceability. 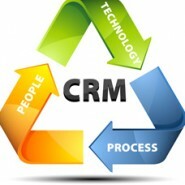 As you’d expect from a product as mature and well developed as CABS, the Contact Manager has a place for you to record every little detail about all your contacts and it allows you to import those details en-mass from mailing lists or other systems – eliminating keying errors and significantly increasing speed of response. The best thing about CABS Contact Manager is that it is fully and seamlessly integrated with the whole of the rest of CABS, meaning that every contact for every booking is recorded and reportable for analysis or future direct marketing activity. Since the key to any good system is the quality of the data it contains, you should contact us today to find out how CABS can put your contact data where it should be - right at the heart of all you do.